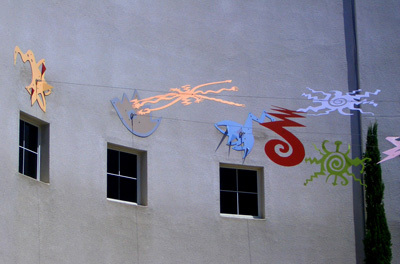 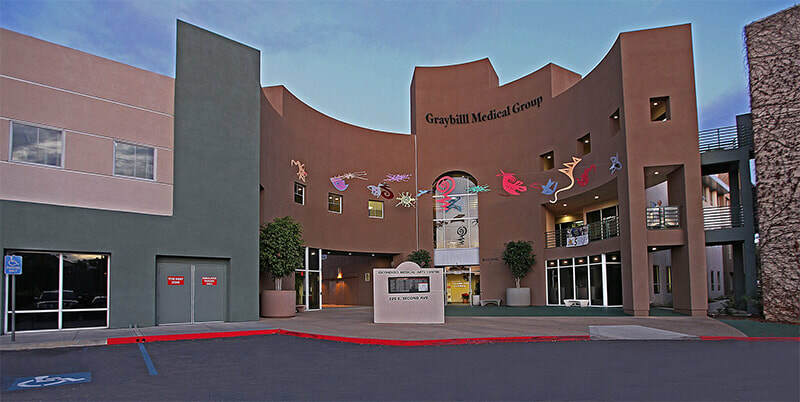 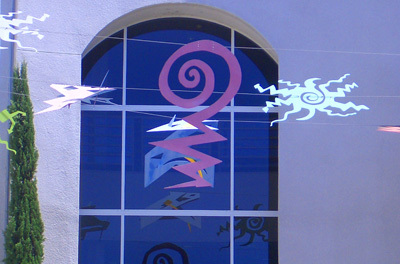 Shadow Changes is a series of brightly colored kinetic aluminum sculptures suspended from steel cable for the exterior plaza of a medical center in Escondido, California. 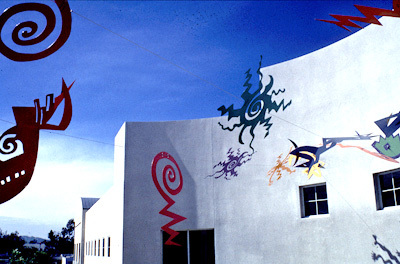 The colorful spinning designs can be seen from the second floor offices and balcony casting shadows and creating playful movement on the building and the plaza below. 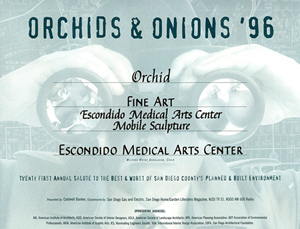 The project was awarded the 1996 “Orchid” for public art from the San Diego chapter of the American Institute of Architects. 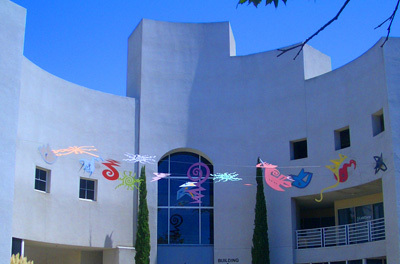 Get driving directions to this project or view the Stone Paper Scissors Art Map.